Now Open to the Public… Discover Grassy Pond! Grassy Pond is open to the public for daily enjoyment. 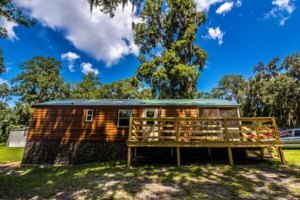 This 500 acre recreational area is similar to a state park with cabins, RV sites, tent sites, group shelters, a recreational boat area, nature trails, grills and other amenities. 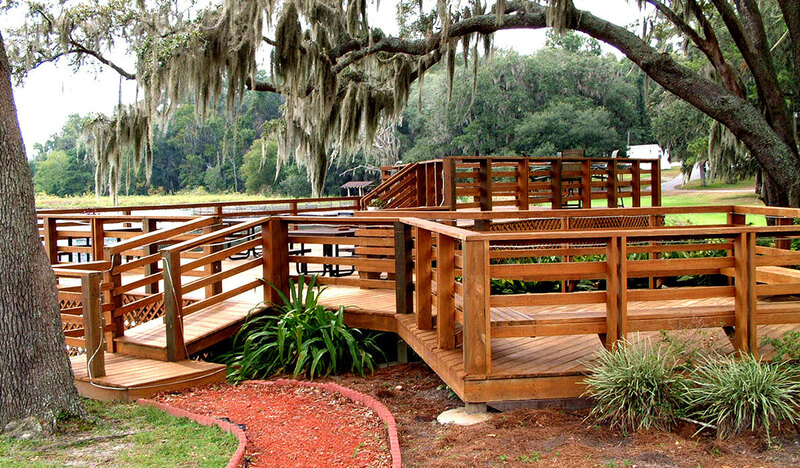 The major fishing area offers a variety of accommodations and activities for guests such as a boat launch for personal boats, equipment rentals and fishing contests. Moody welcomes all visitors from South GA, North FL and surrounding counties. Park entry is FREE for DoD cardholders and $5 per vehicle up to six people for the public and $2 per each additional person. 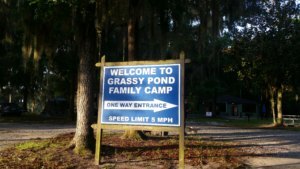 Discover Grassy Pond! Picnics are permitted in designated areas throughout the grounds. Tables, grills, and shelters are available on a first come-first served basis. 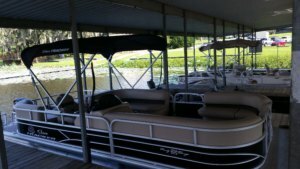 Fishing boats, Jon boats, a Deluxe Pontoon Cruiser (no fishing allowed), canoes and pedal boats are available on a first come, first served basis at an hourly, half day or daily rate. Children under 14 years of age must be accompanied by an adult on the pedal boats. Life jackets and floatation cushions are provided. Privately owned boats may be launched at the boat ramp for a small fee. Please check in at the front desk prior to launching and when exiting so we can ensure your safety by accounting for everyone on the lake. * Any fees mentioned are subject to change without notice. Grassy Pond offers rental cabins and Cottages. 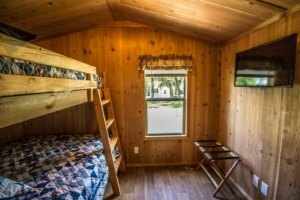 There are nine three-bedroom cabins with a maximum occupancy of up to 8 guests and five two-bedroom cabins and four two-bedroom cottages. Each are equipped with a stove, a refrigerator, beds, television, basic eating utensils, and screened in porch. Bed linens are provided for a cost. Towels, wash cloths and soaps are not provided. Grassy Pond requires at least 50% deposit make at the time reservations are made (if made more than 15 days in advance). Remaining balance is due 15 days prior to arrival. If customers are only staying one night, we require the balance to be paid in full at the time the reservation is made. Additionally, we have tent sites located all around the park. No reservations can be made for tent sites. Grassy Pond is open year-round for fishing. Bass, catfish, and brim are abundant. Customers ages 16 or older must have a valid Georgia State fishing license and a Moody AFB permit. Moody AFB fishing permits can be purchased at the check-in counter for daily or annual terms. Only Military or DoD ID Cardholders can purchase an annual permit. The cost is $5 per day for the public and $2 per day (or $10 per year) for DoD cardholders. Moody Equipment Rental also sells Moody AFB permits. Fees collected for fishing permits go directly to resource management to maintain the pond. Fish size and limits are set by Georgia and are strictly enforced. Hunting is not permitted at Grassy Pond, as wildlife and plant life are protected in this area. Please respect the environment so that others can enjoy the beauty of Grassy Pond. Pavilions can be reserved for events from 9:00 AM – 12:00 AM (quite hours start at 10:00 PM). 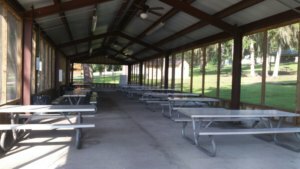 Our pavilions are screened in and they include ceiling fans and picnic tables. Enjoy our 3.1-mile and one mile nature trail around Lott’s Pond (see map in tab above). Rest areas, picnic areas and information plaques can be found along the trails. Whether you take a healthy hike, or simply stroll and enjoy the scenic beauty, you will enjoy yourself. Please no cycling. 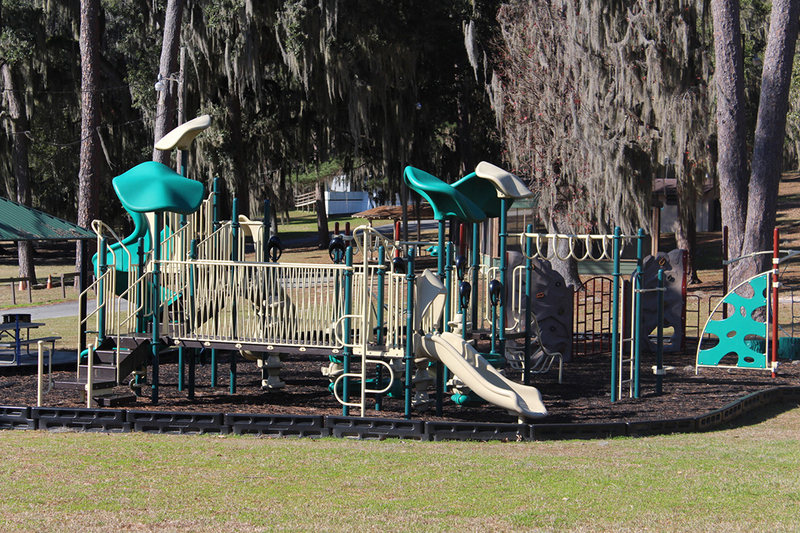 Grassy pond playgrounds offer many fun activities including swings, slides and more. Use of playground is included with the Park entrance. 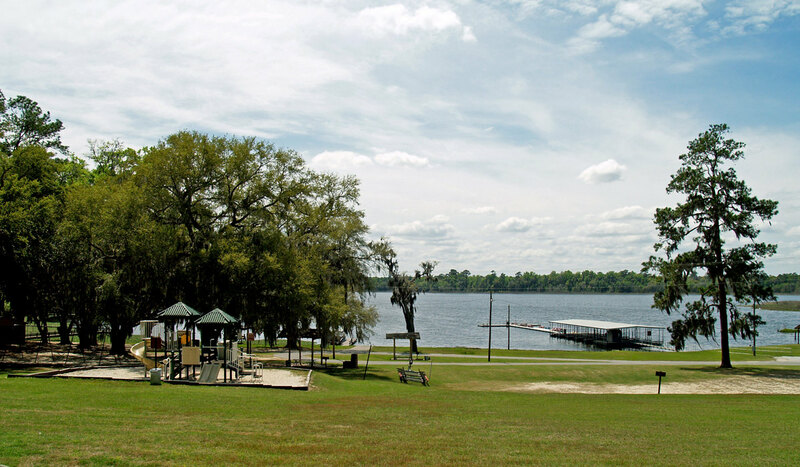 There is also a sand volleyball court, a basketball court and picnic sites at Grassy Pond. Balls, horseshoe sets, and outdoor games are available for rental at the front desk. Don’t forget to bring your children’s bathing suits. 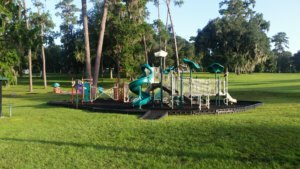 Our water play area is open from Memorial Day thru Labor Day. Pool is open during normal business hours (weather permitting.) The pool is two feet deep. Pool is included with park entrance. 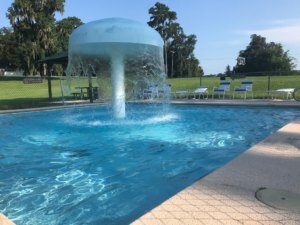 Reservations may be made up to one year in advance for active duty personnel and 180 days in advance for all other authorized users either by phone (229) 559-5840, or in person. Reservations for accommodations require a one day confirmation fee paid at the time of the reservation and the remainder due 2 weeks prior to check in. Unless noted otherwise, cancellations made 15 days in advance will receive a refund. Cancellations made inside 14 days will not receive a refund of the confirmation fee. * Any updates or changes to your order need to be made 15 days prior to your stay as well. Pets will only be allowed overnight stay in specified living quarters. A Non-refundable pet fee will be charged at a rate of $10 a night, $30 a week or $50 a month. Pets must be on a minimum 6 foot leash and under the control of the owner at all times while on Grassy Pond property. Pets may not be secured outside or secured to government property. Owners must be in the immediate area of where the pet is secured. Pond area, docks, playgrounds, restrooms and recreational building are off limits to pets. Pets should never be left unattended in closed vehicles in extreme heat conditions. Pet owners must ensure their pets do not disturb shrubbery or flowers and are required to pick up and dispose of their pet’s waste. Pet owners are responsible for ensuring that their pets do not disturb other patrons. This is an unofficial Department of Defense (DoD) website. Only DoD cardholders may utilize these services (unless otherwise noted). The appearance of hyperlinks or the information contained within, does not constitute endorsement by the DoD. No federal endorsement of sponsors/advertisers intended. © 2017 Moody Air Force Base Force Support Squadron. All Rights Reserved.